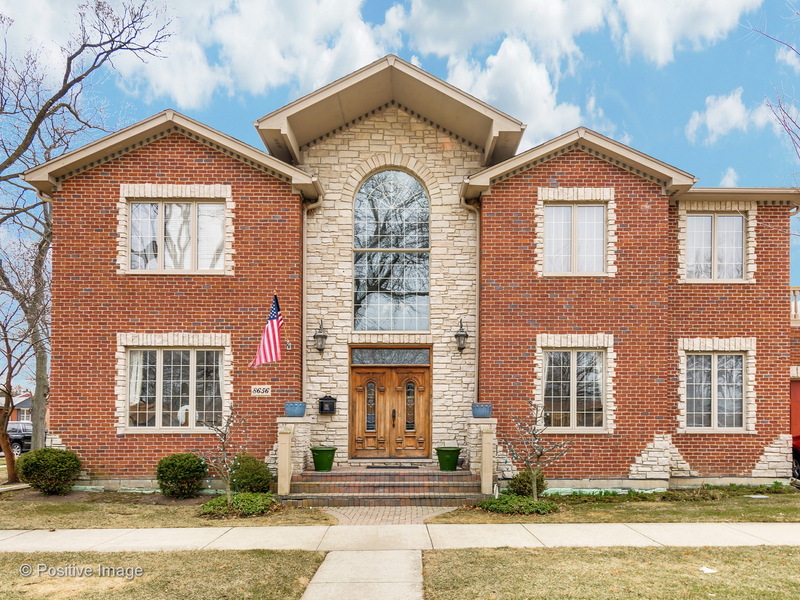 A Beautifully designed custom 5 bedroom 5.1 bath (In-law suite with full bath on main level) built in 2006. Newer construction home in Devonshire school district. A large foyer brings you into this gracious 2 story home with today&apos;s modern layout in mind. Home has many upgrades and custom details that you won&apos;t find in other homes in the area. Kitchen has Subzero/Viking appliances, stone counter tops, custom cabinets, two dishwashers and sinks. Spa inspired baths which includes marble, steam shower, Grohe, Toto fixtures. Lower level has a large recreational room, bar with two beverage fridge, full bath, game room, work room and storage room. Backyard with large deck with pergola and attached 2 car garage with custom wood door, 8&apos; doors, central vac system, wired for sound, custom mill-work and closets. Home is located on a tree line block, walking distance to Seneca Park, Evanston golf club, minutes to Old Orchard, and easy access to expressway.